The feeling of finishing Dakar is yet to sink in fully as I have been dreaming and waiting for this moment for 3 years now. It’s difficult to express my feelings at the moment but I am overjoyed to be at the finish line. With multiple injuries in the run up to Dakar, I always knew I had to push myself beyond the comfort zone to finish the rally. The route this year was extremely challenging but I was ready to fight it out and finish one stage at a time. I would like to thank my team especially my mechanic Prakasham for ensuring my motorcycle was in the best shape at the beginning of every stage. 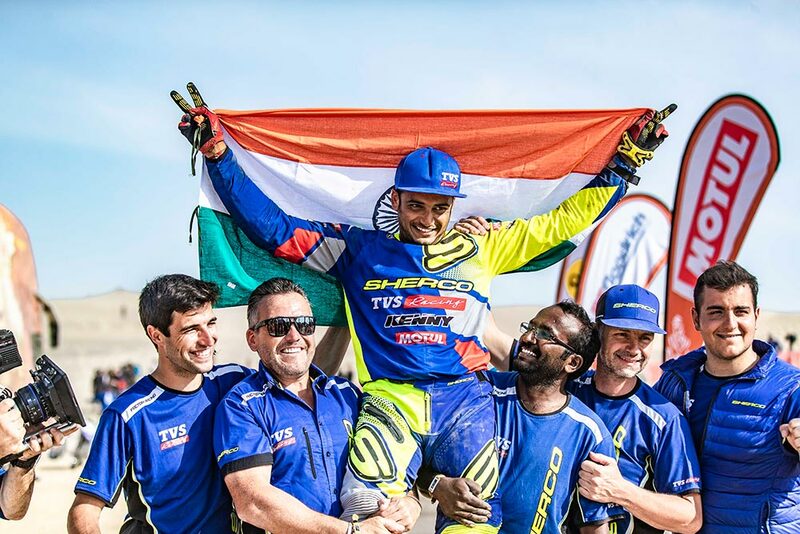 I am also grateful to my mentors at TVS Racing & Sherco for believing in my dream and supporting me all along. Dreams do come true if you truly believe in them. 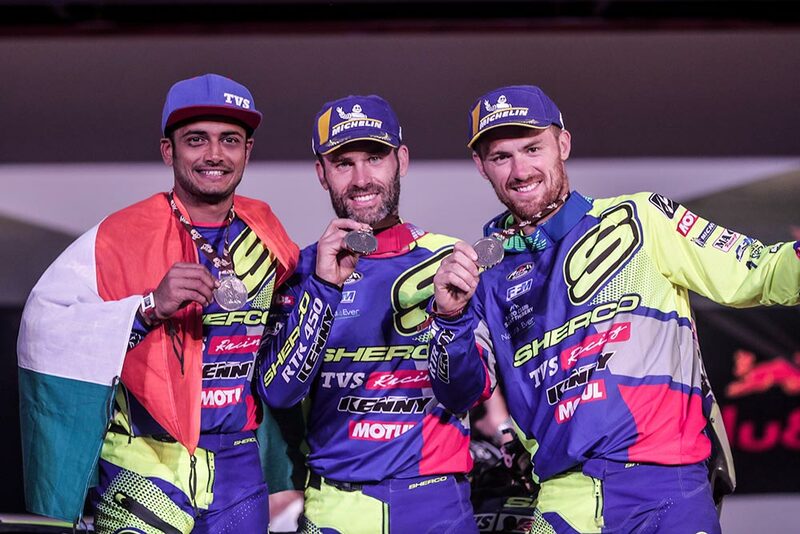 I hope my achievement inspires young Indian riders to chase their Dakar dreams and work hard to put India on the world motorsport map. I would like to congratulate all the racers and the team for their outstanding performance at the rally this year. With each passing day at the rally, the level of difficulty shot up manifold and so did our determination. 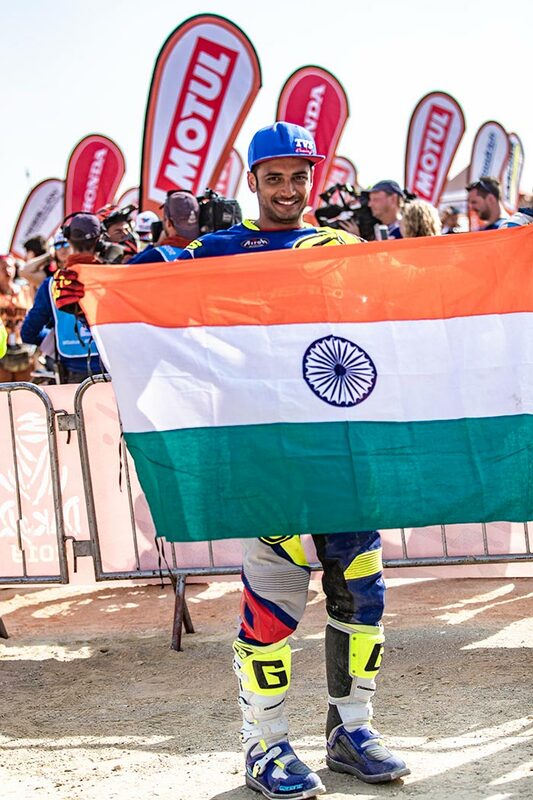 Aravind KP is a talented rider and has a razor sharp focus on his goal and that’s precisely the reason why we chose him to represent us at Dakar. 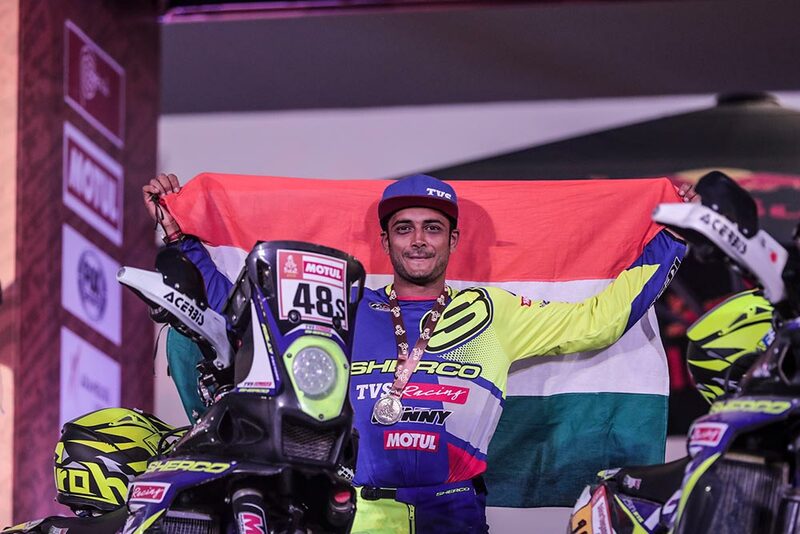 At TVS Racing, we spend a lot of time with the racers to identify their potential and strive to give them every opportunity to prove their mettle. We believe success doesn’t come to anyone overnight, it is an ongoing journey and one might have to overcome many obstacles before achieving glory. It is a red letter day in the history of TVS Racing and we are honoured to be a part of this success story.